Bhopal: Indira Gandhi Rashtriya Manav Sangarahalaya and Australia's High Commission will organize a collaborative workshops under the community outreach workshop based on Tribal folk Dances on dated 20th and 21st October, 2018 at Amphitheatre, Veethi Sankul Indoor Museum building of museum. In this 02-day workshop, the artists of Bangaras Dance Theater of Australia will make innovative experiments focused on traditional dance with artists of Baga tribe of Madhya Pradesh. Complementing their multi-city tour of India as part of Australia Fest, Australia's leading Aboriginal and Torres Strait Islander dance company Bangarra Dance Theatre, will travel to Indigenous communities across India to undertake a series of community engagement opportunities. Bangarra are internationally acclaimed for combining more than 65,000 years of Aboriginal and Torres Strait Islander culture with powerful contemporary dance, immersive soundscapes, music and design. The company's dancers are dynamic artists, each of whom has a proud Aboriginal and/or Torres Strait Islander background. The first stop in a series of such activities is Bhopal where Bangarra will collaborate with the Baiga - a forest-dwelling Indigenous community of central India from Madhya Pradesh, Chhattisgarh and Jharkhand. Bangarra Dance Theatre is Australia's leading Aboriginal and Torres Strait Islander dance company, acclaimed worldwide for its moving performances, distinctive voice and authentic storytelling. Bangarra are internationally acclaimed for combining more than 65,000 years of Aboriginal and Torres Strait Islander culture with powerful contemporary dance, immersive soundscapes, music and design. Relationships with Aboriginal and Torres Strait Islander communities are at the heart of Bangarra, with its repertoire created on Country and stories gathered from respected community Elders. 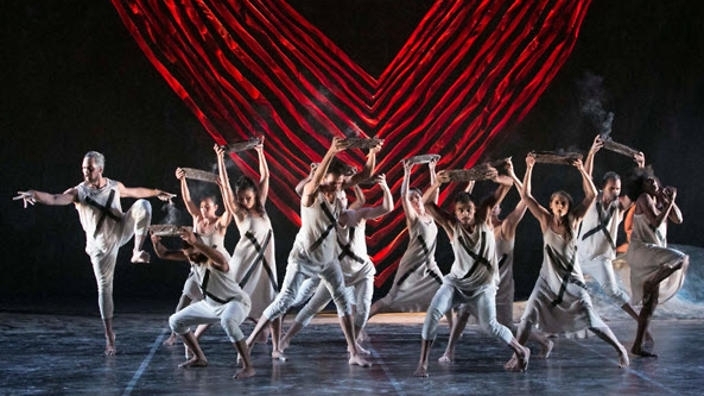 It is this inherent connection to land and people that makes Bangarra unique and enjoyed by audiences from remote Australian regional centres to Tokyo, New York and Paris. The Baiga is a forest dwelling community of central India. They are mainly distributed in Madhya Pradesh, Chhattisgarh and Jharkhand states of India. They have intimate knowledge of plants and animals in their surroundings. Like many other Indian tribal communities the Baiga also represent a colourful culture which includes various dance forms with hand crafted costumes and ornaments. The prominent folk song and dance forms of the Baigas include Karma, Saila, Reena, Dadaria and Sua (or parrot dance), which are performed on percussion instruments such as Mandar or Dhol. Australia's High Commissioner to India, Her Excellency Ms Harinder Sidhu said, "I am delighted that we are able to bring Bangarra to Bhopal as part of Australia Fest." "The community engagement opportunities between Bangarra and the Indigenous groups in India will not only help inspire the next generation of performers and storytellers, but also promote meaningful cultural exchange," she added. "We're proud to share the resilience and strength of Australia's First Nation people with other Indigenous communities and groups, and are looking forward to exploring cultural exchange in these remote regions and continuing our tradition in sharing Aboriginal and Torres Strait Islander culture globally," said Bangarra's Executive Director Philippe Magid.